The Benton Mackaye Trail, and eastern hiking in general is not done for awe-inspiring views. The beauty lies in subtle, more intimate moments. The sun filtering through the leaves. Walking through a tunnel of rhododendrons and listening to a nearby creek. The faint smell of vegetation in the air. The interplay of dark greens, soft greys and earthy browns on a foggy day. For transportation details to both trailheads, see the excellent BMTA hiker resources page. For our money, spring and autumn are ideal. Yes, the temps can be a little cooler, however, if you time it right, you may just catch the Appalachians at their finest (i.e. flowers blossoming or fall colors). History: The Benton Mackaye Trail is named after the New England conservationist and visionary, who in 1921 first put forward the idea of the Appalachian Trail. The BMT was officially opened on July 16, 2005. 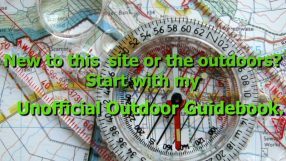 Online Beta: The excellent Benton Mackaye Trail Association website contains up-to-date information on trail conditions, resupply options, shuttles and links to other helpful resources. It also has an online store in which you can purchase maps and guidebooks. National Geographic Trails Illustrated maps (four in total): Map #777 – Springer and Chohutta Mountains; Map #781 – Tellico and Ocoee Rivers; Map #316 – Cades Cove Elkmont, and; Map #317 – Clingmans Dome Cataloochee. The Trails Illustrated maps are a good choice if you are looking for more of an overview than just the trail corridor. Caltopo – Free downloadable USGS 7.5 topographic maps for the entire BMT. cover of the 2010 edition of Sgt. Rocks BMT Guidebook. Lufty Baptist Church (established in 1836 / reconstructed in 1912). Resupply: Most BMT hikers resupply every 3-5 days. Click here for a comprehensive overview of resupply options on the BMTA website. Trail Journal: Return to the Hills – Daily account of Paul Mags’ 2009 BMT thru-hike. Hiwassee Union Baptist Church | Reliance, TN. Permits: The only BMT section you require a permit for is the Great Smoky Mountains National Park. As of 2013, these are no longer free and need to be booked in advance. Click here for details. sunrises and sunsets from the ridgetops | November, 2011. Signage & Trail Condition : In the designated wilderness areas there is no signage, however, outside of these sections the BMT is well marked with white diamond blazes. For a pathway that for the most part doesn’t receive a lot of traffic, it is relatively well maintained throughout its course. Shelter: Unlike the Appalachian Trail, the BMT has very little in the way of permanent shelters. There are only two, situated at the 50 and 273-mile marks if heading in a SW direction. Water: No issues on the H2O front. Sources are plentiful throughout the trail. I can’t remember having to carry more than a liter at any one time. Wildlife: If you’re looking for a trail with abundant wildlife viewing opportunities, you may want to look elsewhere. My standout memory on the fauna front was a huge wild hog I spotted on the Lakeshore Trail section (Fontana Dam, NC). It must have weighed around 400-500 lbs. According to local hunters, these boars were introduced from Russia a few centuries back. From the looks of things they haven’t missed too many meals in subsequent years. Solitude: I imagine the BMT is what the Appalachian Trail was like 40 years ago. Same mountains, far less foot traffic. During his 2009 thru hike, Paul Mags saw six backpackers (all were within a mile of a trailhead) and in 2011 I saw a whopping two section hikers during the entire 288 miles. 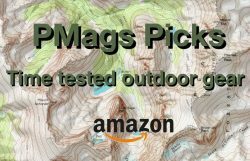 Like what you are reading and want to know about some other great hikes? 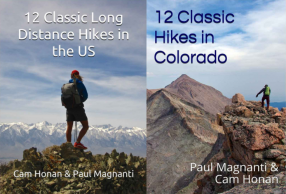 Consider purchasing the Quick and Dirty Hiking Guides for 12 Classic Long Distance Hikes in the US: or 12 Classic Hikes in Colorado. Next → Next post: Eastward bound! Good primer about the BMT. Never did it, but thought about it when finishing the Foothills Trail a decade-plus ago. What do you think about a two-month (+/-) hike connecting the Foothills, Bartram, AT, BMT, starting or ending at Table Rock, Springer, or Davenport? Which order would you recommend doing such an endeavor in? Do you know of any online journals or books by someone who has done this? I’m downsizing my life, hoping to retire in about three years, and if healthy enough want to ramp up my backpacking so I could do something like this again. That’s a BIG “if.” In the meantime, it’s 1-3 day/nights in SNP or other places at a time. I’d do the AT first to warm up, use easy resupplies, and generally have an easier time to get your trail legs. Then hook up on the BMT and go from there. I do not know anyone off-hand who has done the link ups you propose per se, but sounds like a great hike! Good luck and have fun! And no matter how you get out there, all good! I’ve looked at such a loop after given the idea by a Foothills Tr section hiker as he hiked in a 4 p party when I was completing another FHT thru. I’ve since thru hiked all those trails you listed which peaked interest in the loop even more. His trail name was Nuclear as he and another member in his party were retired Navy nuclear ship personnel. He aptly named it the Nuclear Loop. He was a humble local of the area with a deep knowledge and love of trails, the environment, and the loop. I regret losing his eMail. When I told him I liked waterfalls on hikes he aptly pointed me in the right direction – Dupont State Forest. He also told me, and I later personally confirmed, one can basically hike, with a bit of a short bushwack(or on dirt road and trail), between Dupont SF and Jones Gap SP or elsewhere in the Mt Bridge Wilderness Area. I would also look at Gorges SP trails and old roads. Once all the maps are laid out on the floor one can see how the loop is done. It was made easier because I looked at the loop in its entirety after having completed all the individual segments. But, I’ve never combined them all into one loop thru-hike. It takes some research to get all the correct latest detailed maps though as many maps don’t contain the old logging/homestead roads that make the loop easier. I used about 11 different maps of wildly different takes to just understand the loop in the detail needed. This is not an area where most want to do much bushwacking or one wants to get seriously injured as access is limited! It is on the Blue Ridge Escarpment with many water eroded deep steep sided rocky gorges, waterfalls, pristine waterways, and thick vegetation. It includes Jocassee Gorges one of National Geographic’s named 50 of the world’s last Great places. If you like the FHT you’d probably like all those other trails or linking them up for a loop – the Nuclear Loop. Wow! This sounds awesome. A bit of wildness in the SE Appalachians. Thx for sharing! If you decide to do this, I hope you’ll post a journal online as a blueprint for others considering the same or similar. I found your blog several years ago when I was getting ready to do the BMT in 2013. I thoroughly enjoyed it. When I hiked it in late March/early April, I only saw two day hikers and one or two tents that I passed by in the late evening. I comparison, every time I crossed the AT (they intersect 3 or 4 times), I ran into people. Definitely a big difference! I love the BMT. A good way to experience the Appalachians without the AT crowds!